Do you feel that motivation stands between you and your fitness goals? At American Family Fitness we provide our members with group fitness classes to give the motivation and energy to create a healthier lifestyle. Come try them today! Do you enjoy the energy and motivation of a group atmosphere? Are you one who depends on others to get to the next level? With group fitness classes at American Family Fitness in Fredericksburg, you won’t have to look any further. Our knowledgeable instructors, motivating music, engaging exercises, and dynamic group atmosphere will assist in propelling you to a brand new level of fitness. 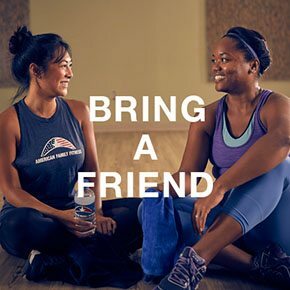 With plenty of classes to choose from every week, you'll find group exercise like Mossa Power, Step and Fight, Tabata, Mommy and Me, yoga, Pilates, barre, and much more. Want high intensity? We have it. Prefer lower impact? Our gym offers gentler classes, too. We have something for everyone! Does a group atmosphere recharge you? With group fitness classes at our gym in Fredericksburg, you can shed pounds and gain muscle while having fun! With our knowledgeable instructors, upbeat music, and innovative exercise routines, you won’t even realize you’re working out! We know everyone has busy schedules, and so American Family Fitness offers group classes several times a day, several days a week. Our classes include mixed martial arts, step training, cardio, high reps with weights, Zumba, and Barre. 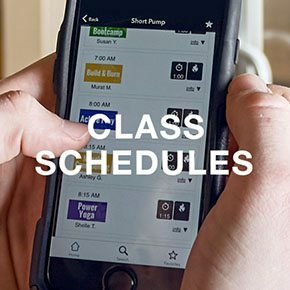 Visit our Class Schedule page to find a class you’ll enjoy and the schedule that works.